Take 5 Tuesday: little lady edition. 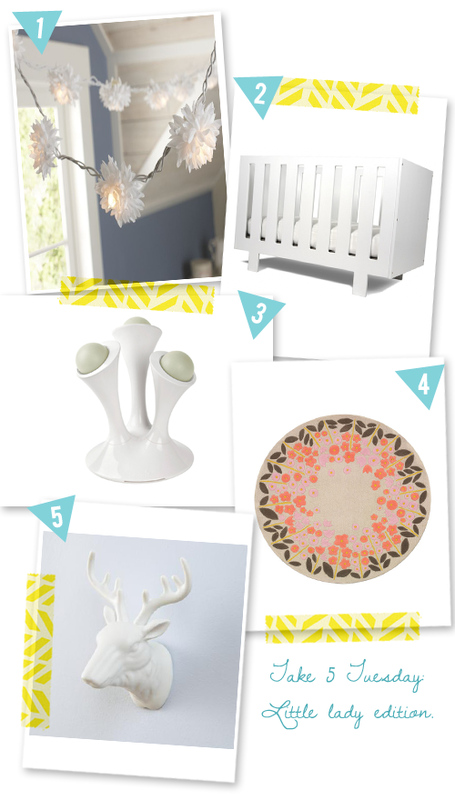 Since I have a few friends welcoming little girls or have already welcomed their little lady into the world this year, I thought it'd be fun to pick out a few things for a baby nursery. Here is what I found. //2. Spot on Square Eicho Crib. //4. Rosette Blossom round rug. //5. Warden deer wall decor.